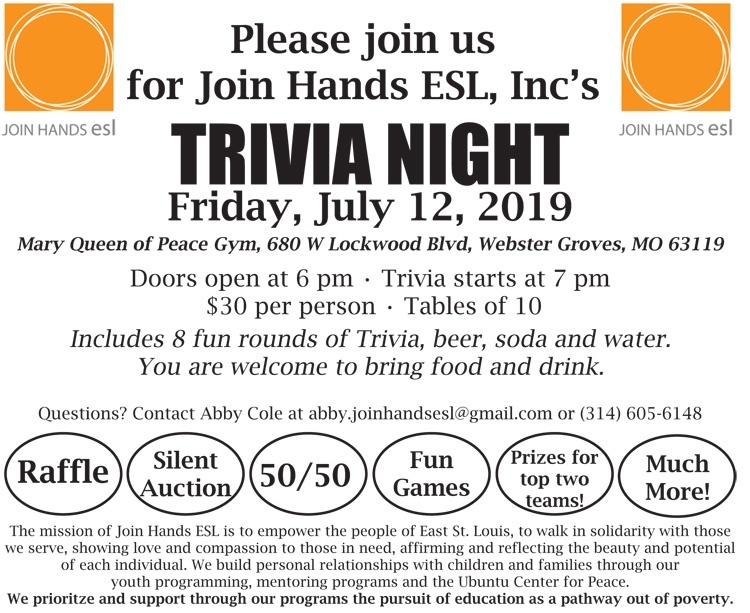 Please join us for Join Hands ESL, Inc’s Trivia Night on Friday, July 12, 2019 at Mary Queen of Peace Gym. Doors open at 6 pm. Trivia starts at 7 pm.